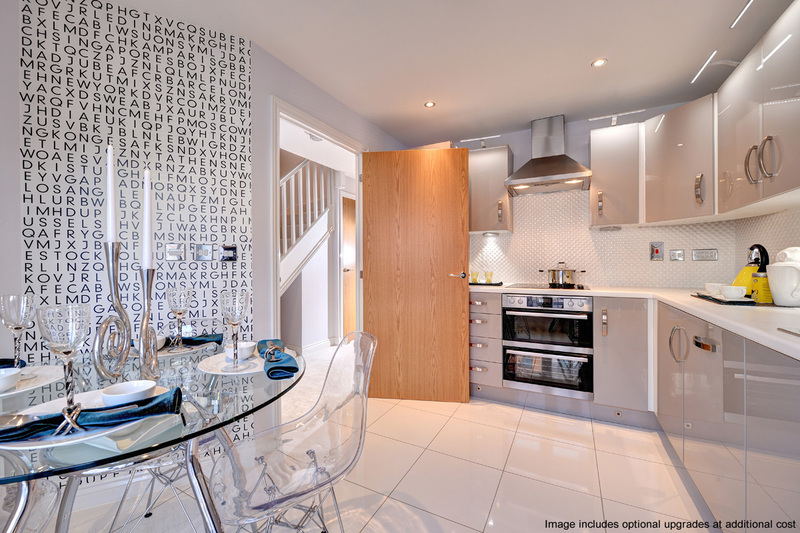 Terms and Conditions: Available on new reservations only, up to the value of £1,500. 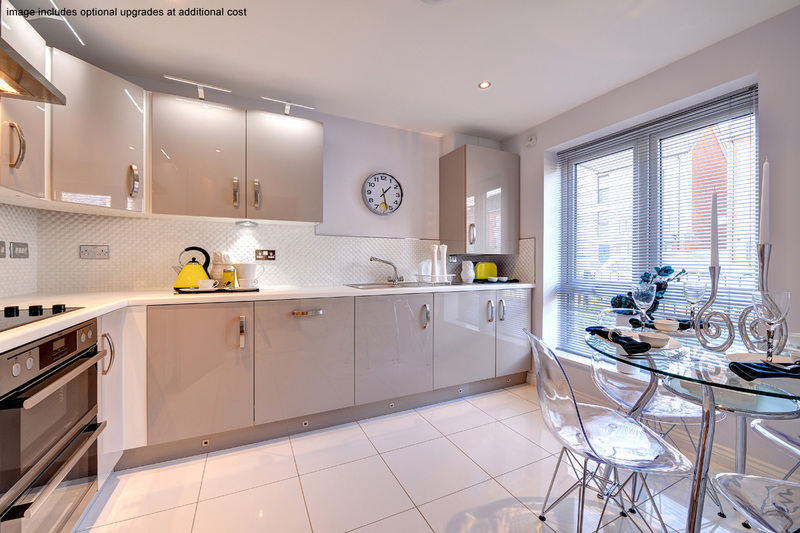 Must reserve by 15th May 2019. 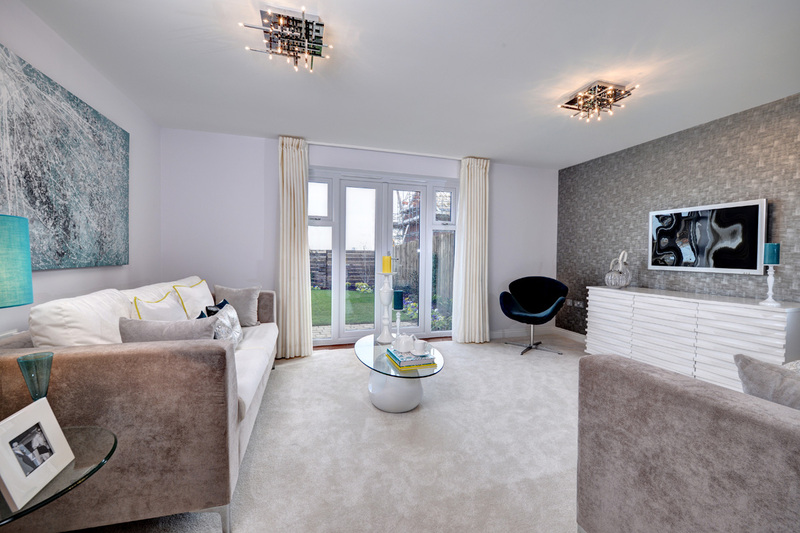 If the plot has these items as spec, a £1,500 deposit contribution can be offered. 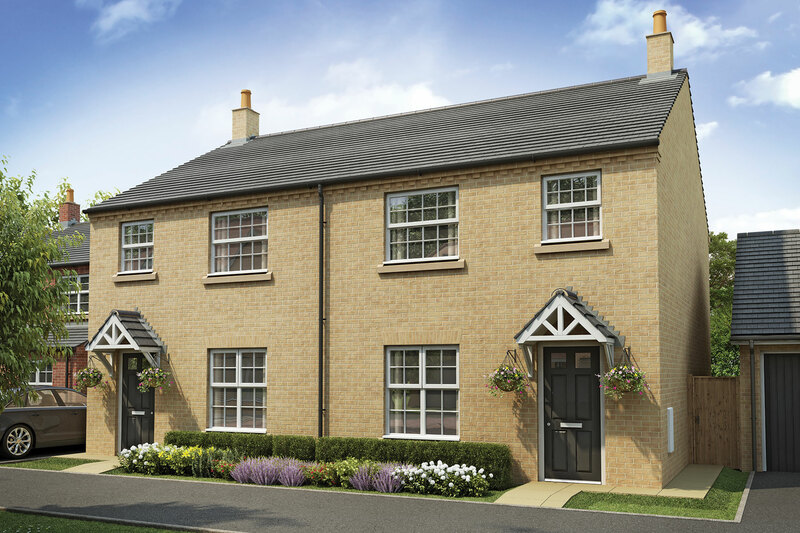 Available on plots 148 & 149. 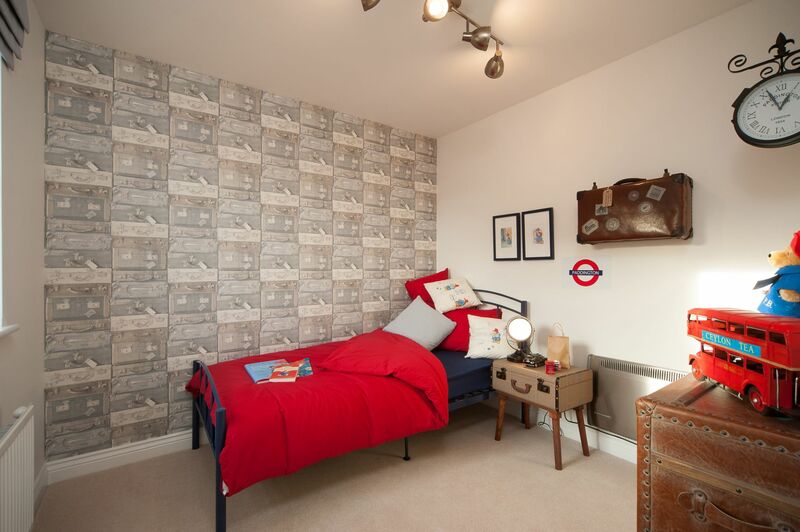 This superb three bedroom home is perfect for first time buyers and young families alike. 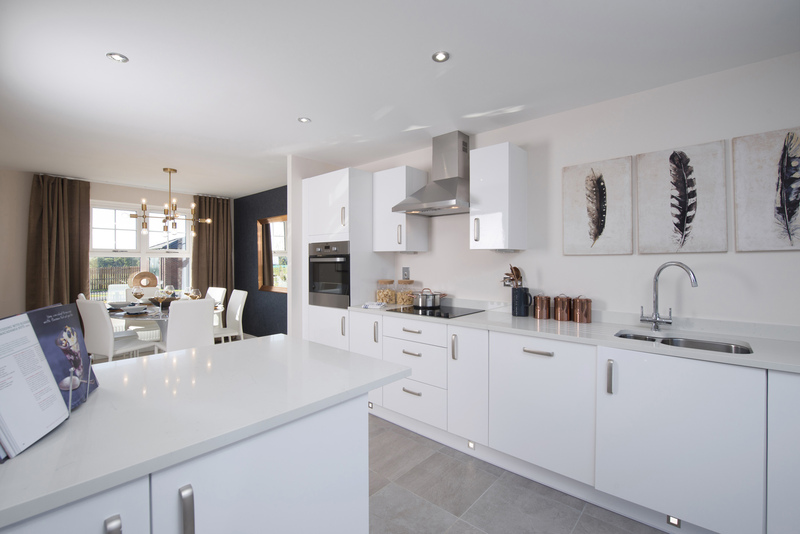 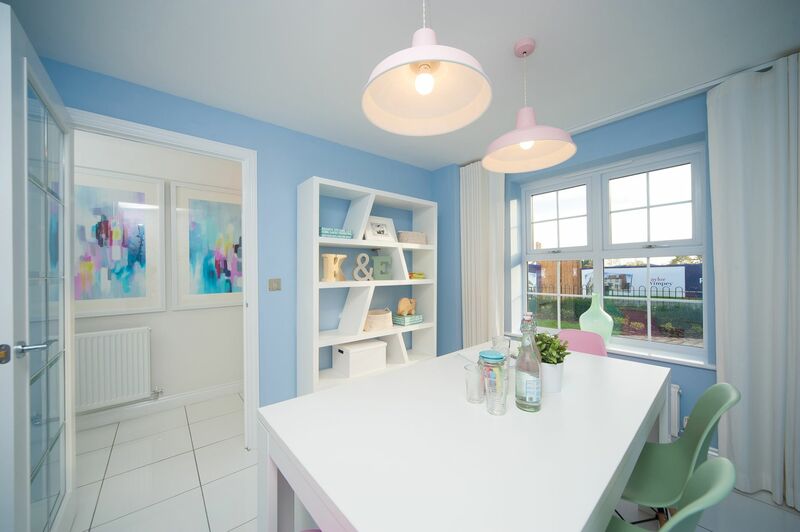 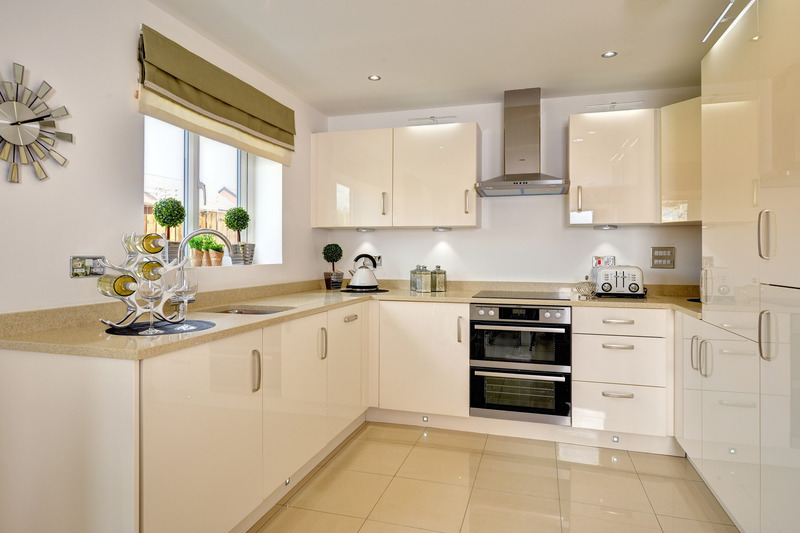 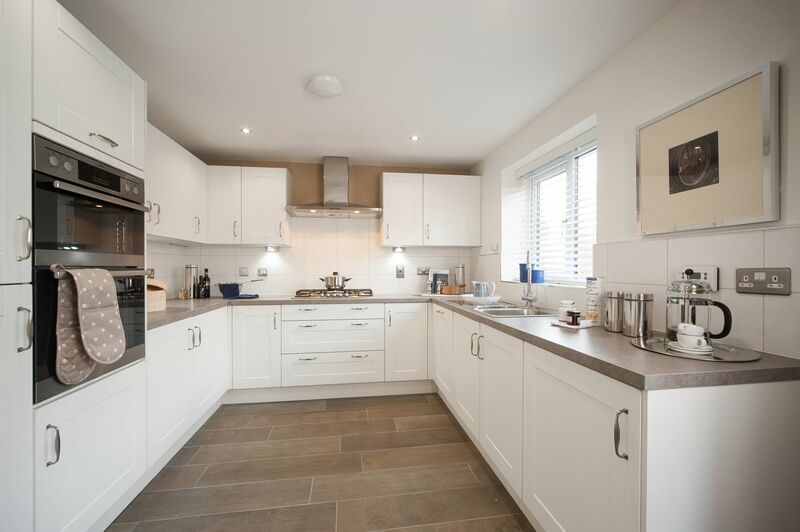 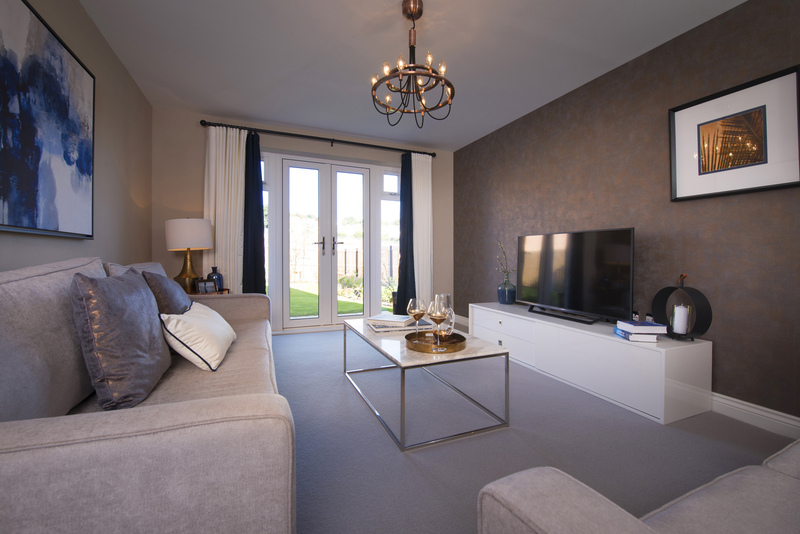 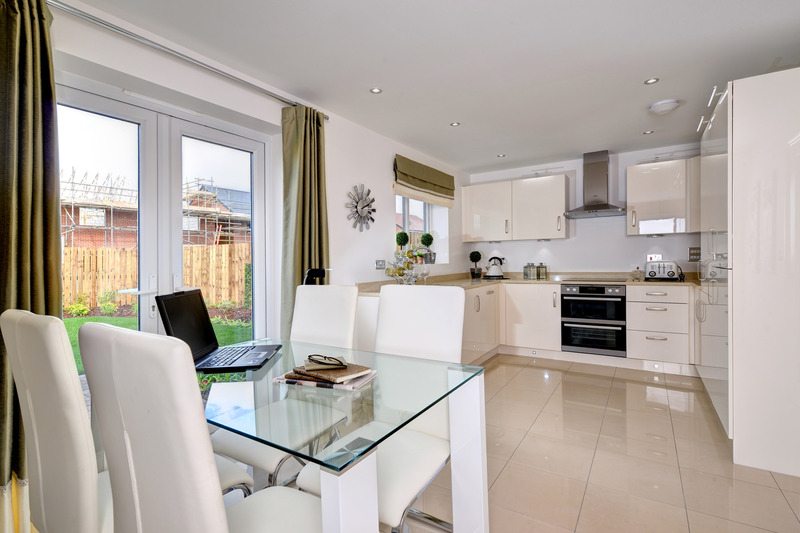 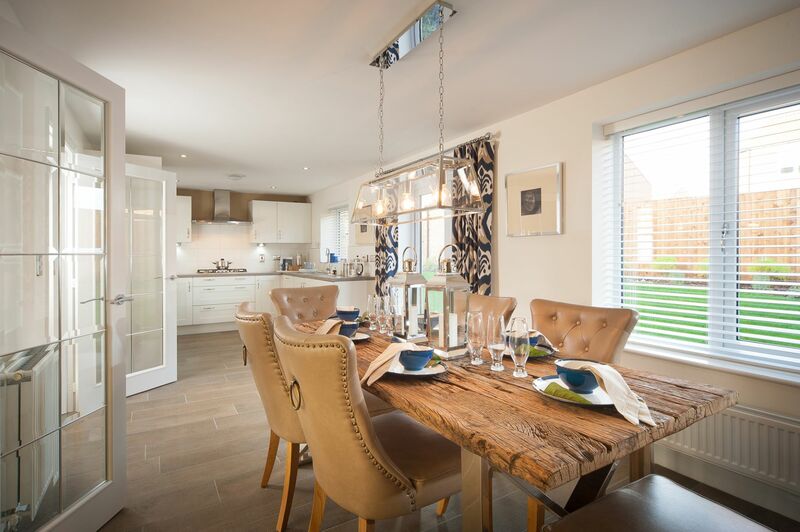 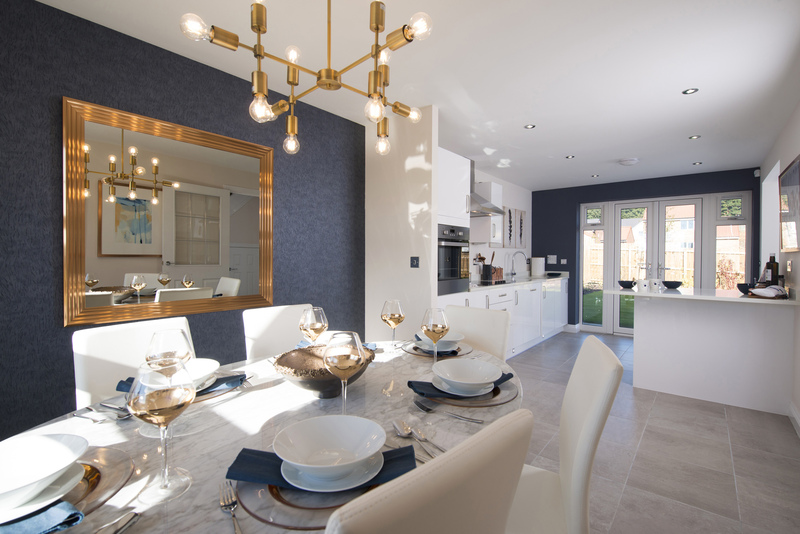 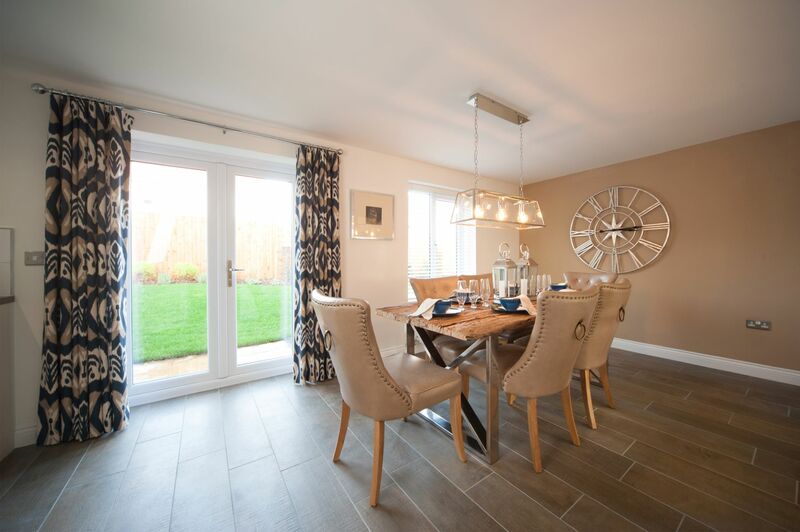 The ground floor features a stylish open plan kitchen with breakfast area, a spacious lounge with dining area, a cloakroom and plenty of storage space. 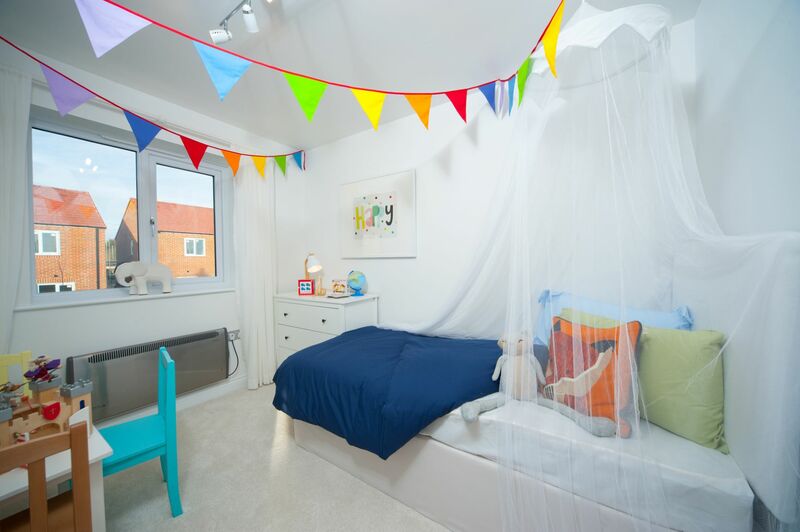 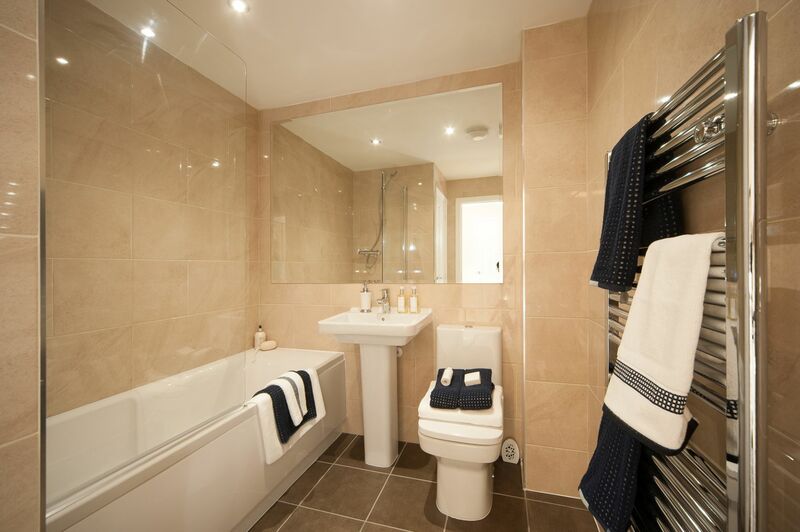 Upstairs you will find two double bedrooms, a third generous bedroom and a family bathroom. 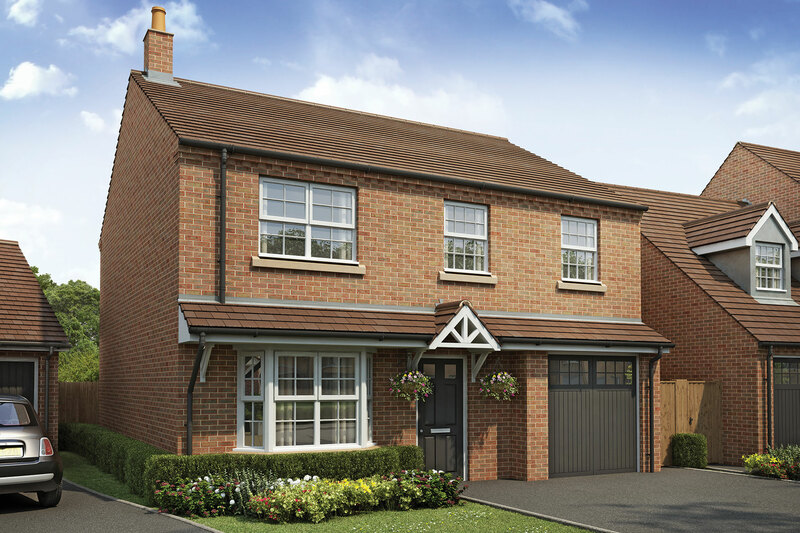 This superb four bedroom home is perfect for growing families. 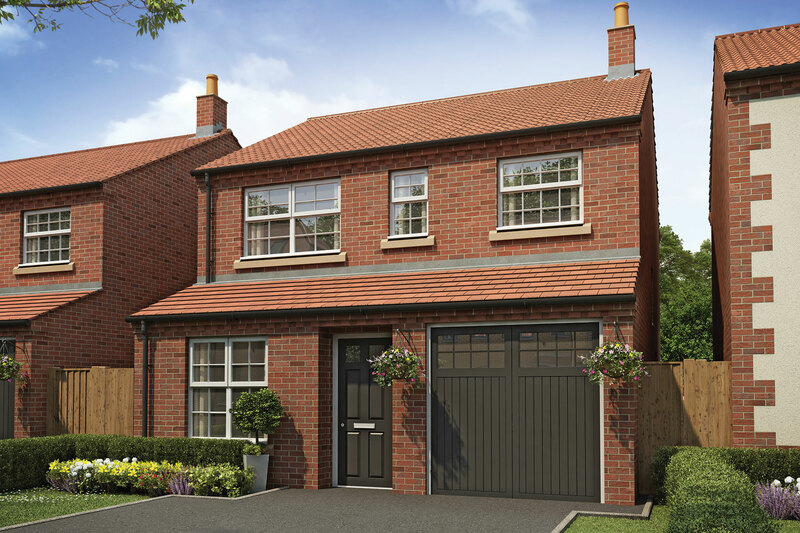 It features an open plan kitchen with dining and family area leading through French doors to the rear garden, a spacious lounge with bay window overlooking the front of the home and a cloakroom. 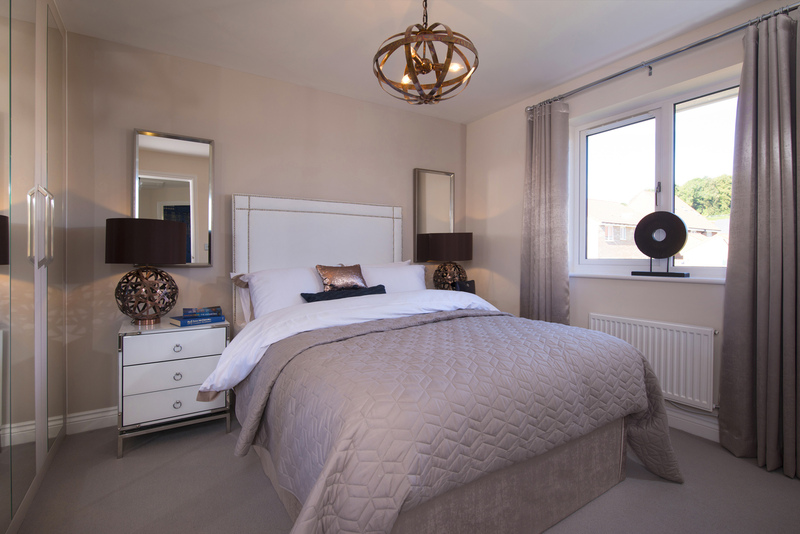 Upstairs you will find three double bedrooms, one with an en-suite shower room, a further bedroom and a stylish family bathroom. 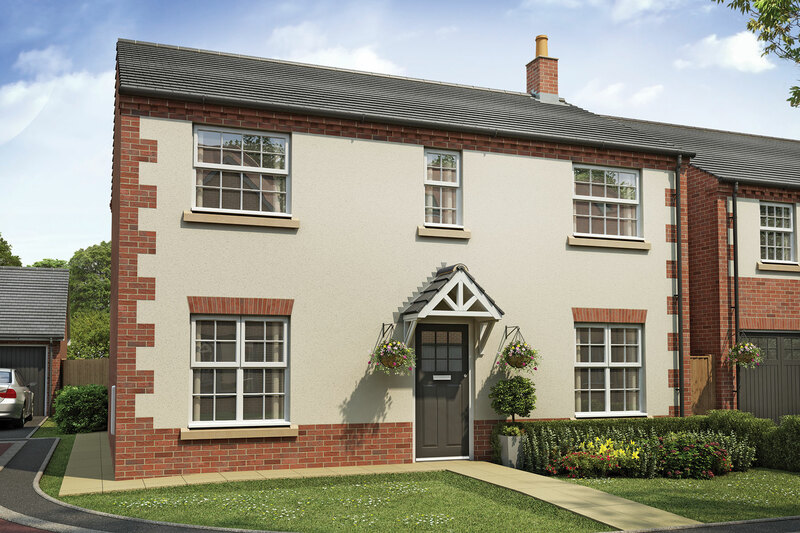 This fabulous four bedroom home would suit a growing family perfectly. 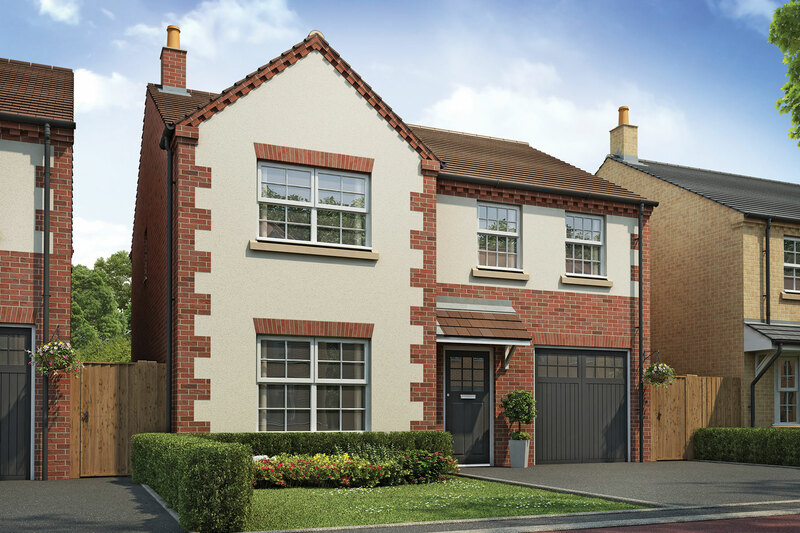 Downstairs features an open plan kitchen with breakfast area and French doors leading to the rear garden, the spacious lounge overlooks the front of the home and leads through double doors to the separate dining room. 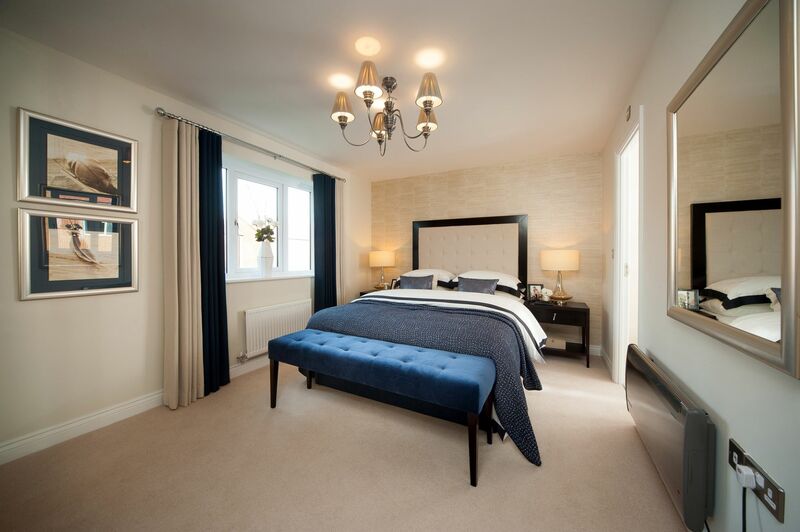 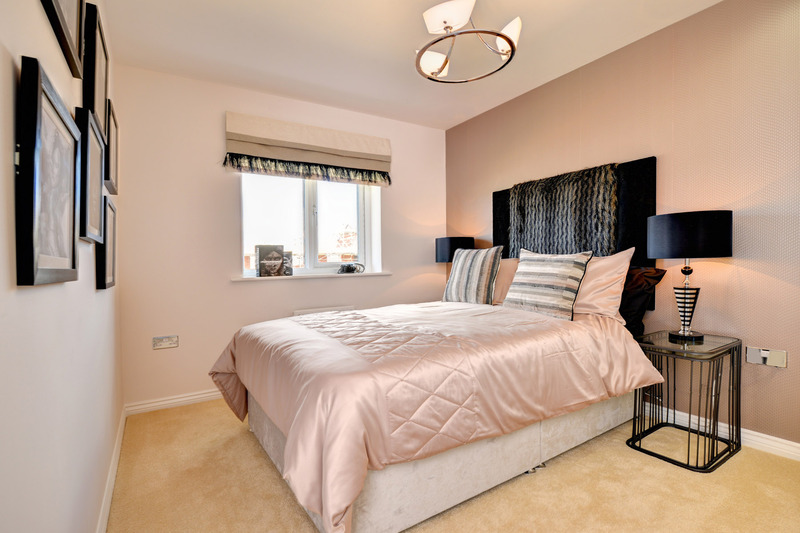 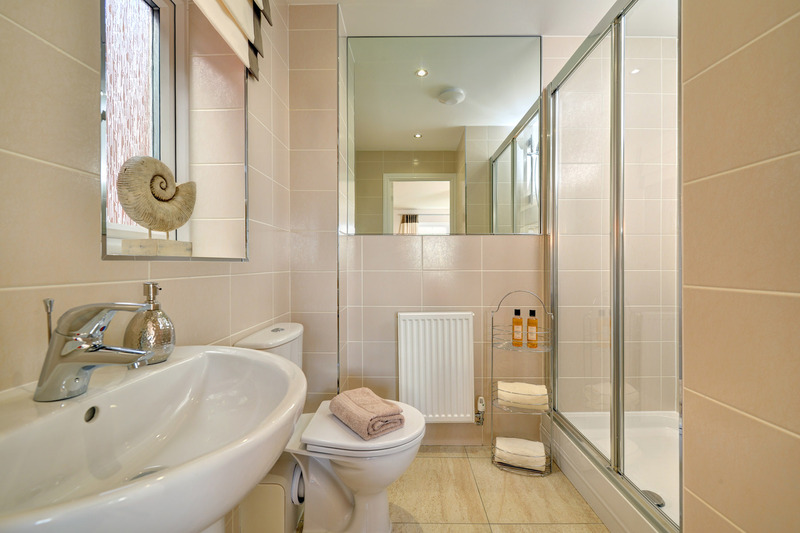 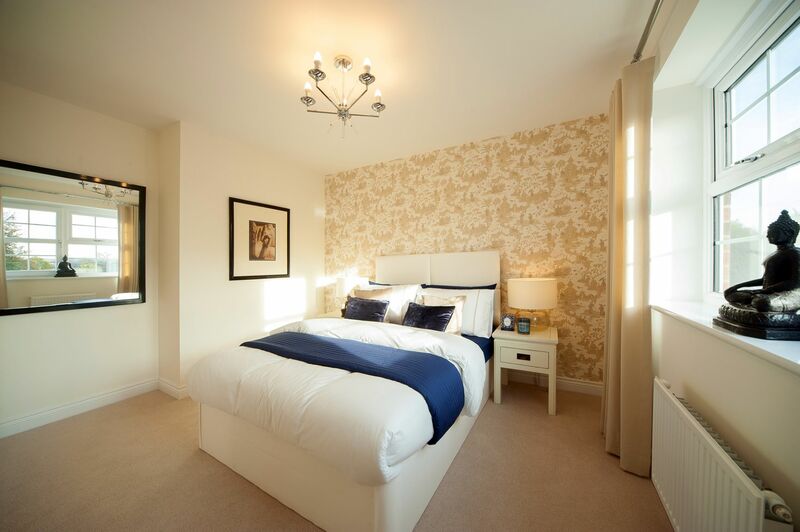 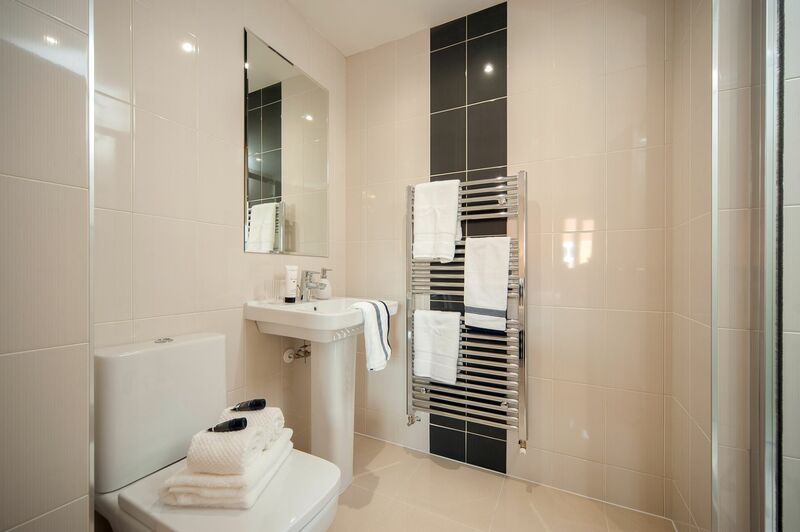 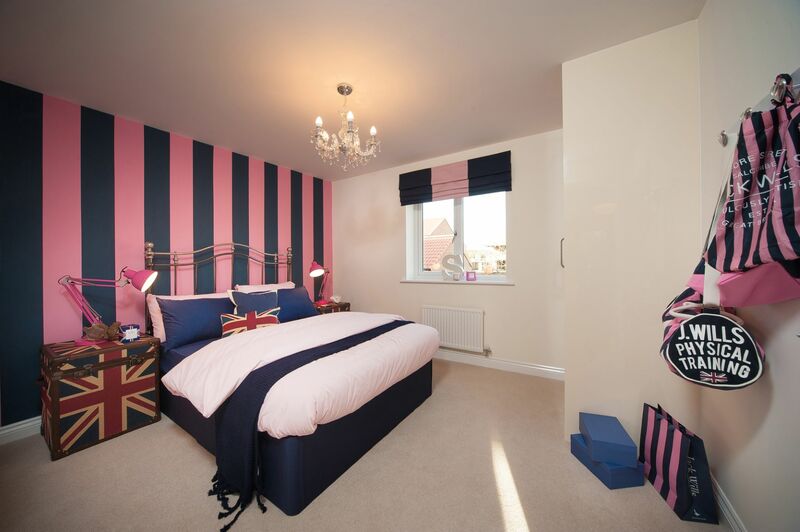 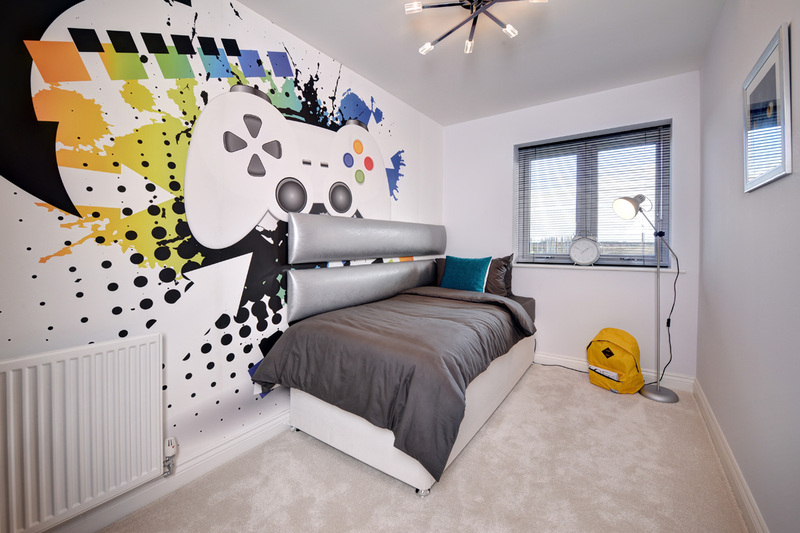 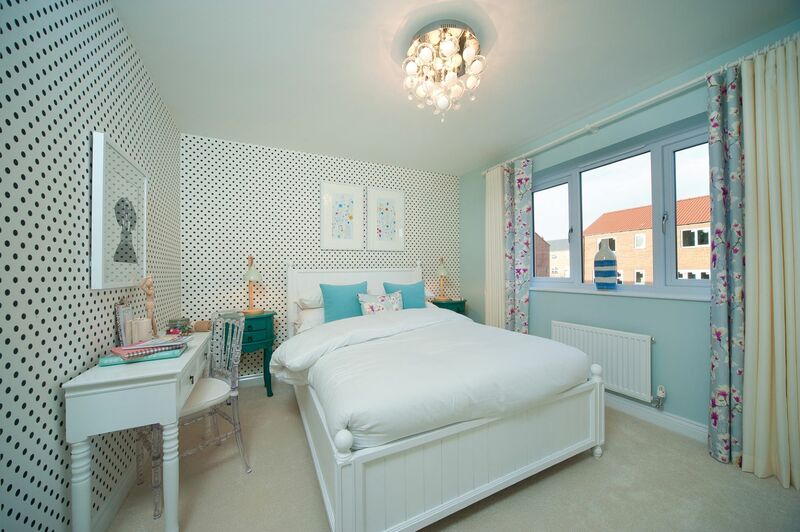 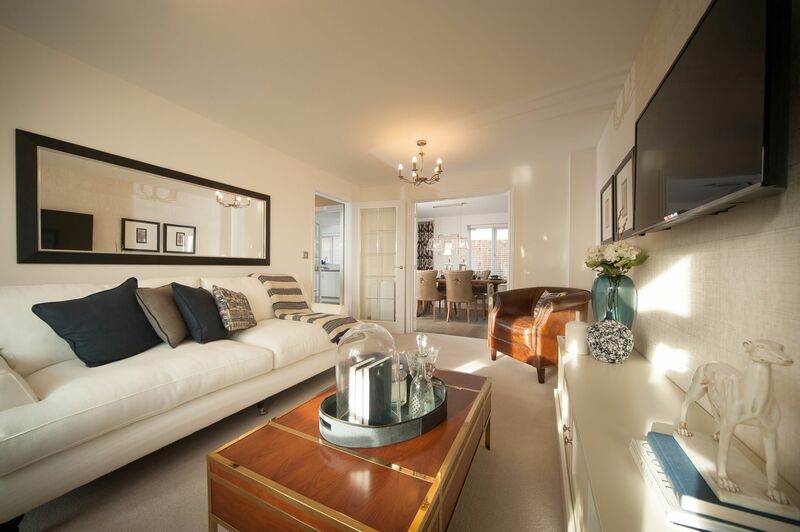 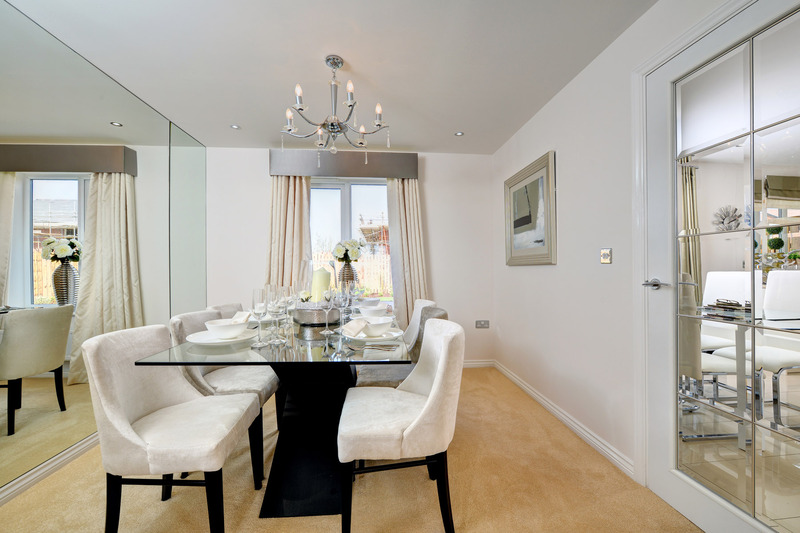 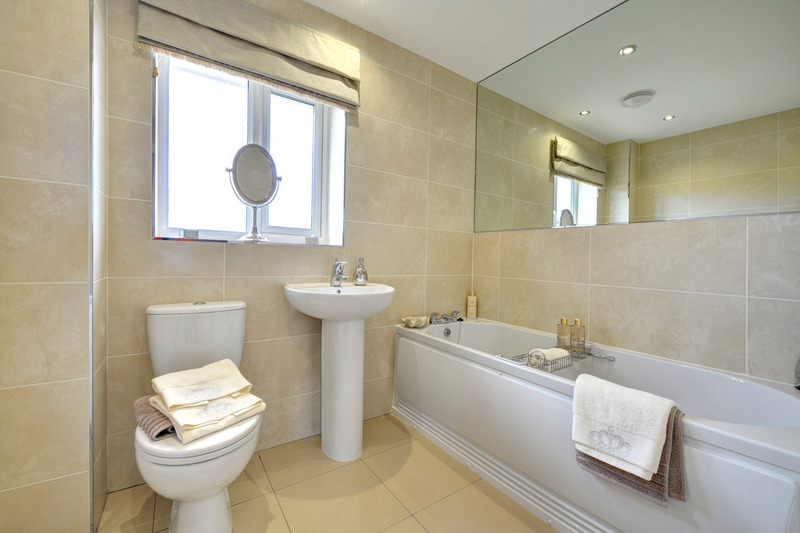 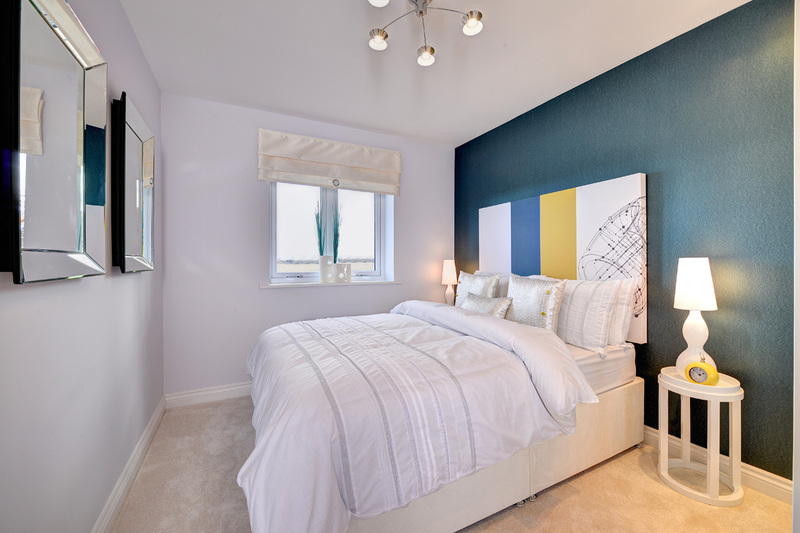 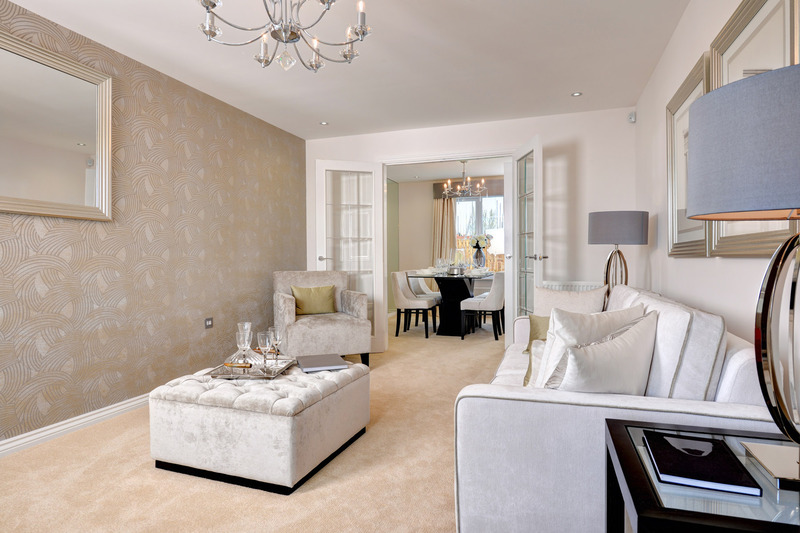 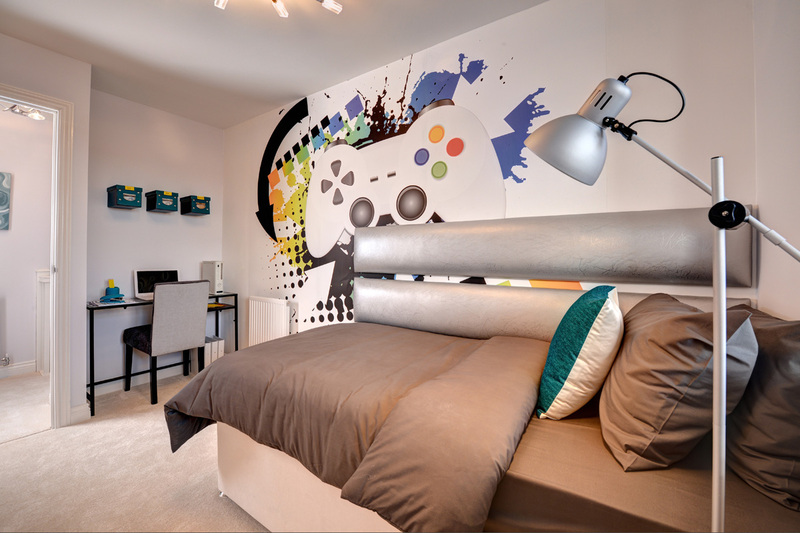 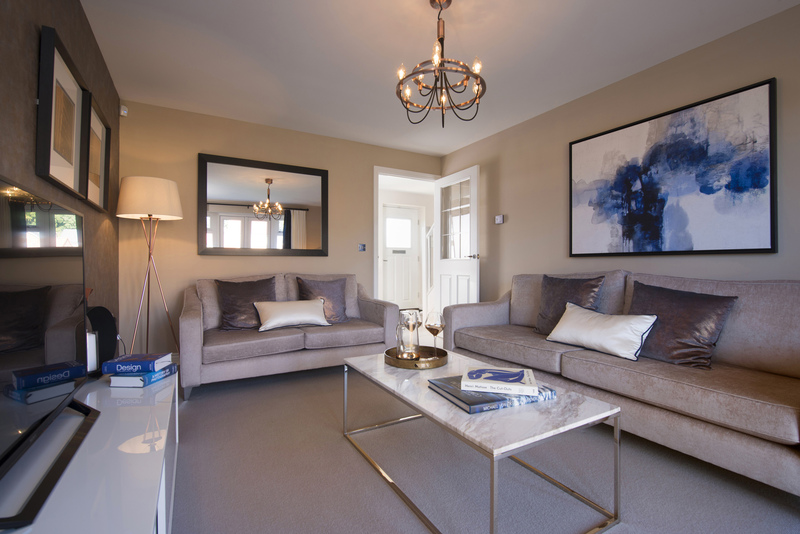 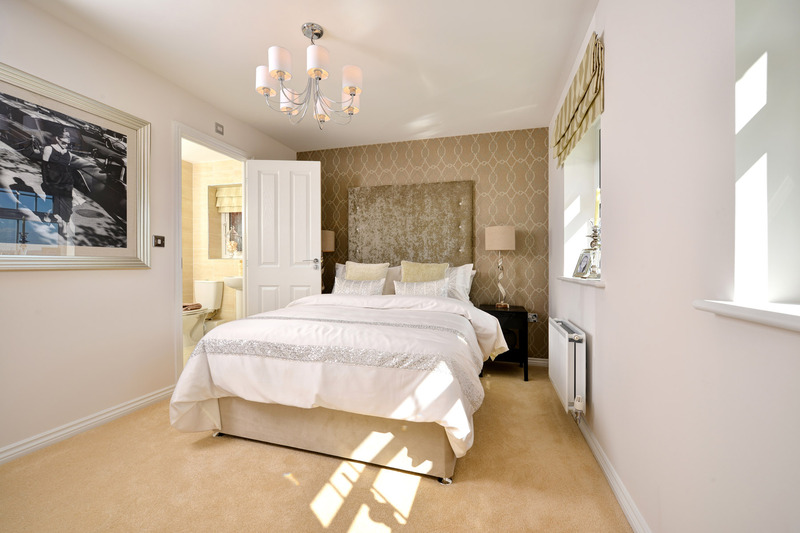 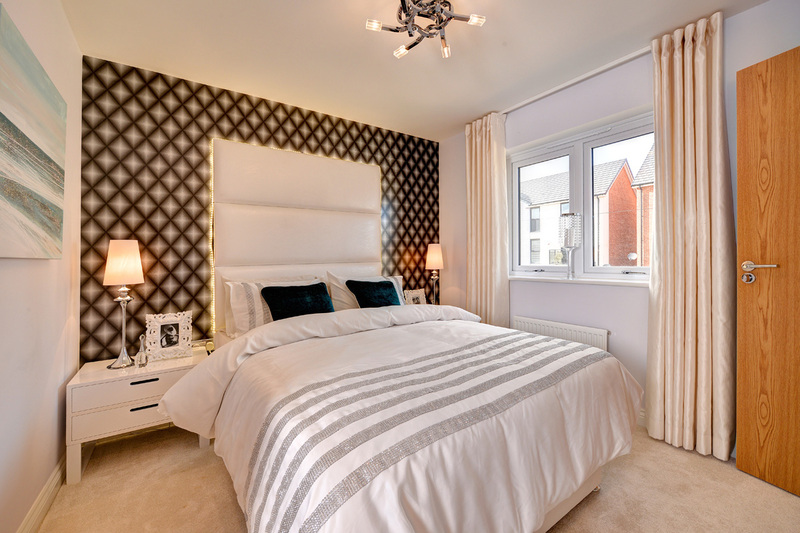 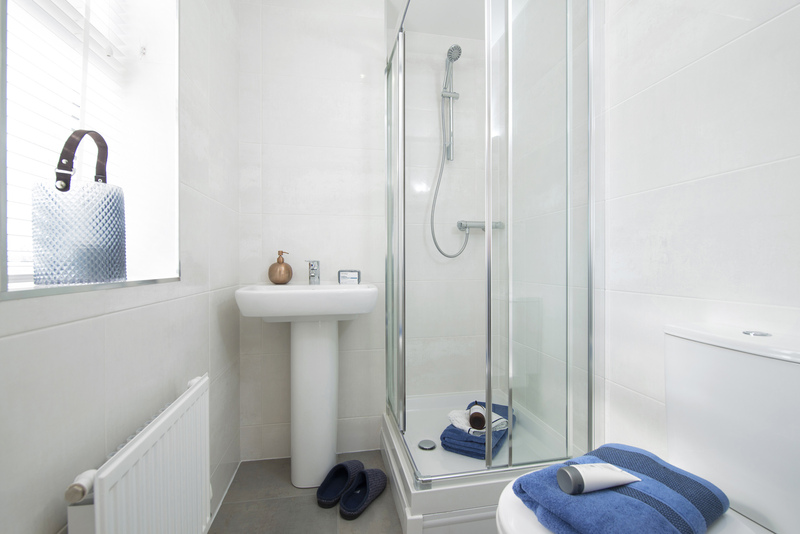 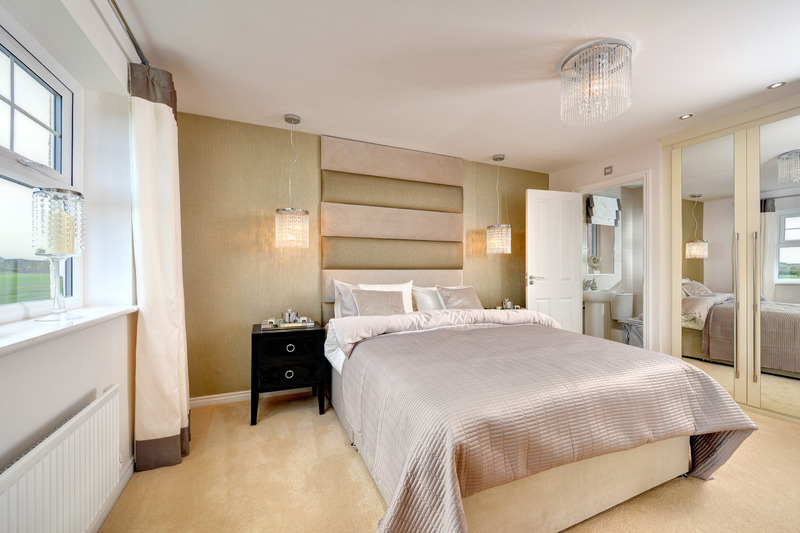 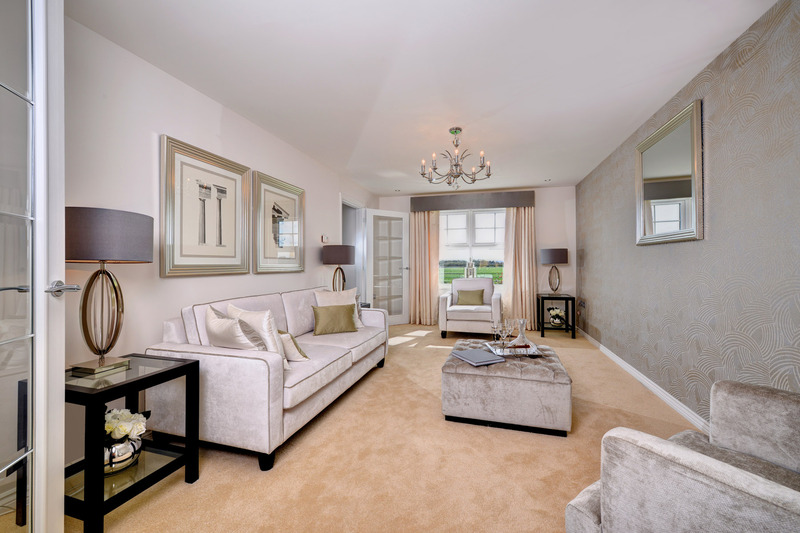 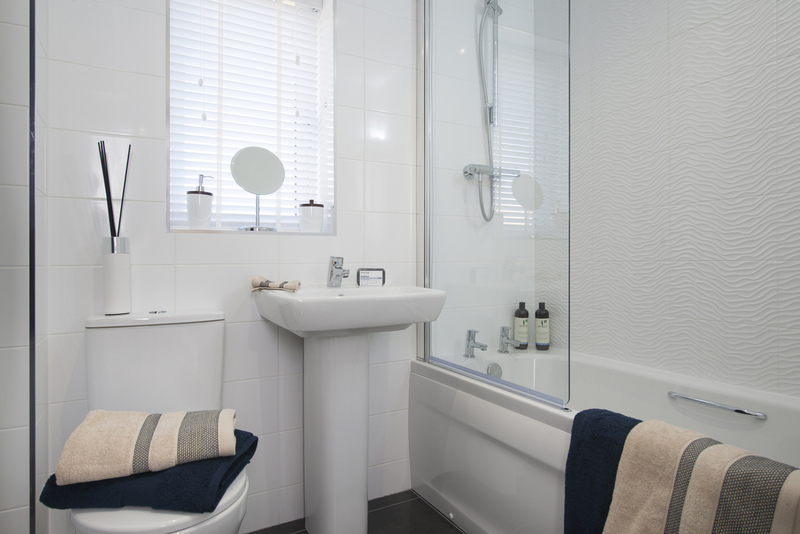 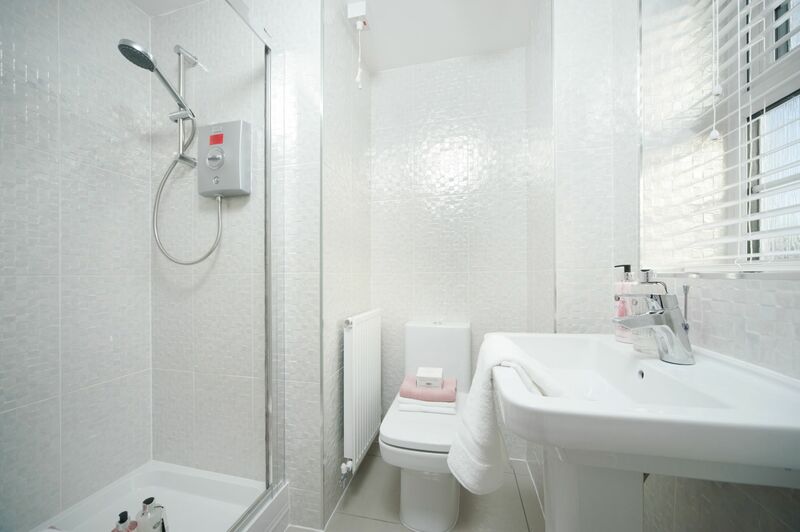 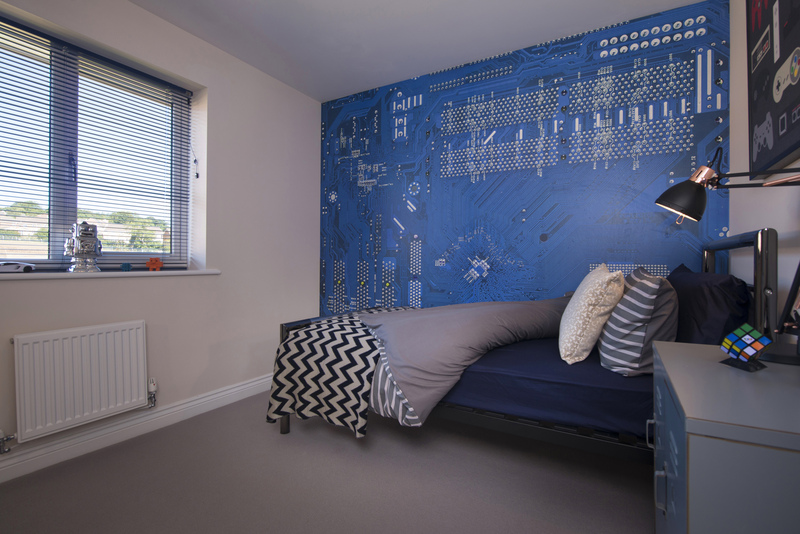 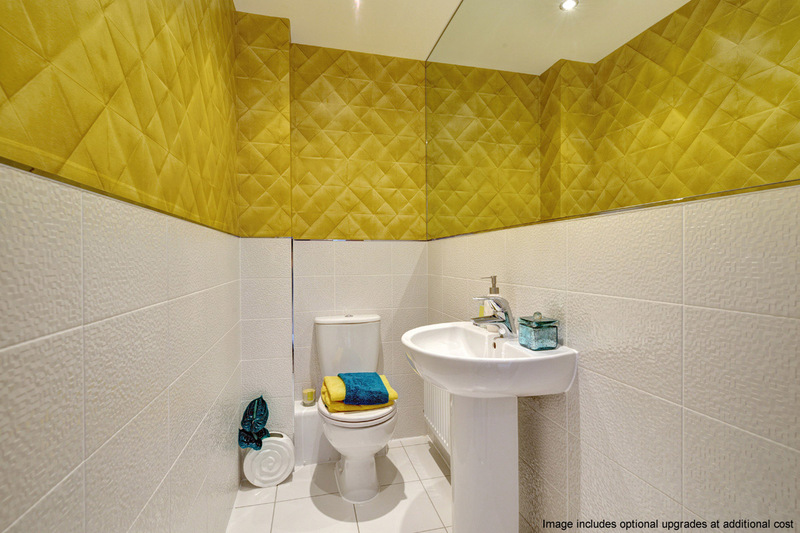 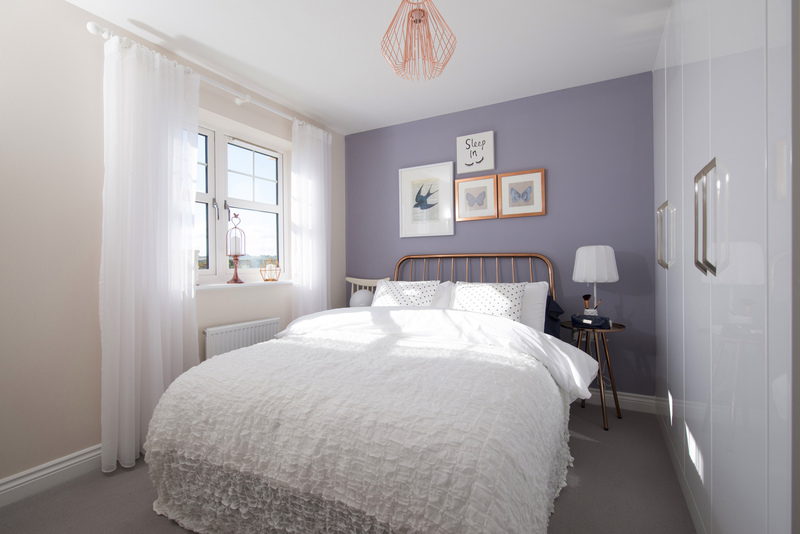 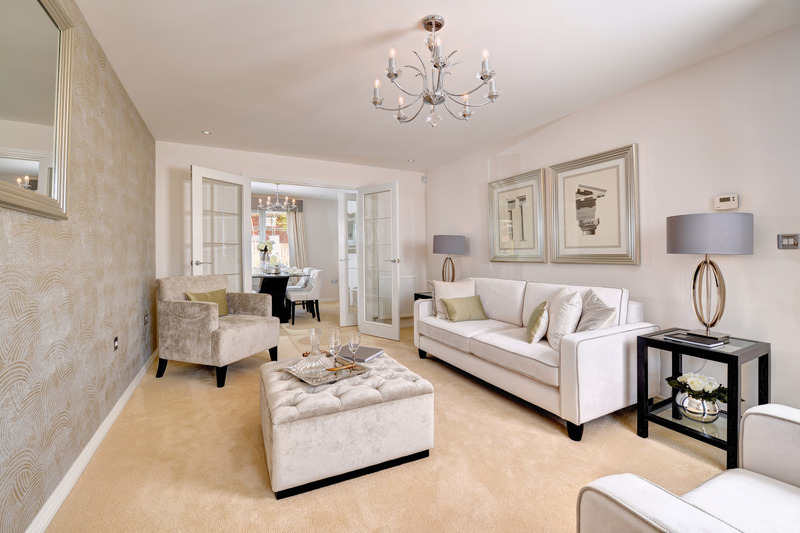 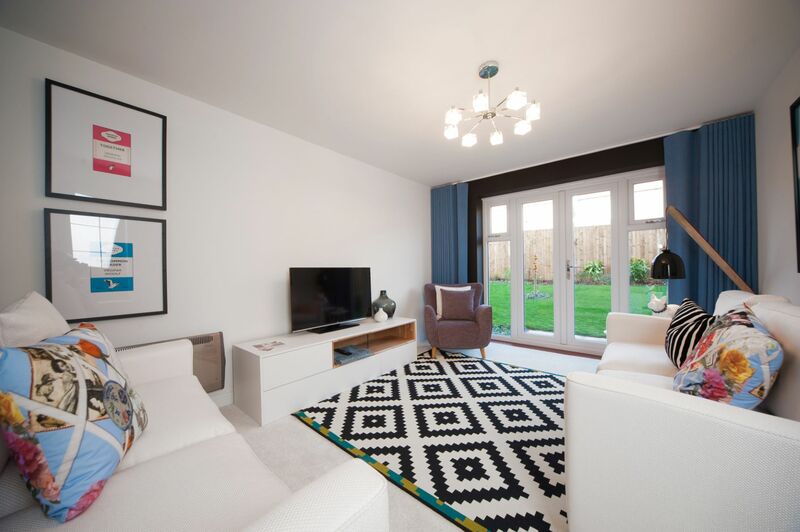 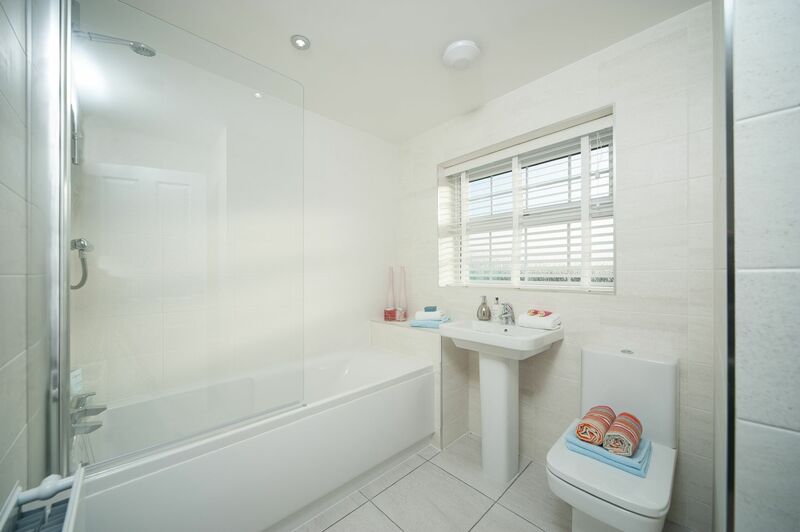 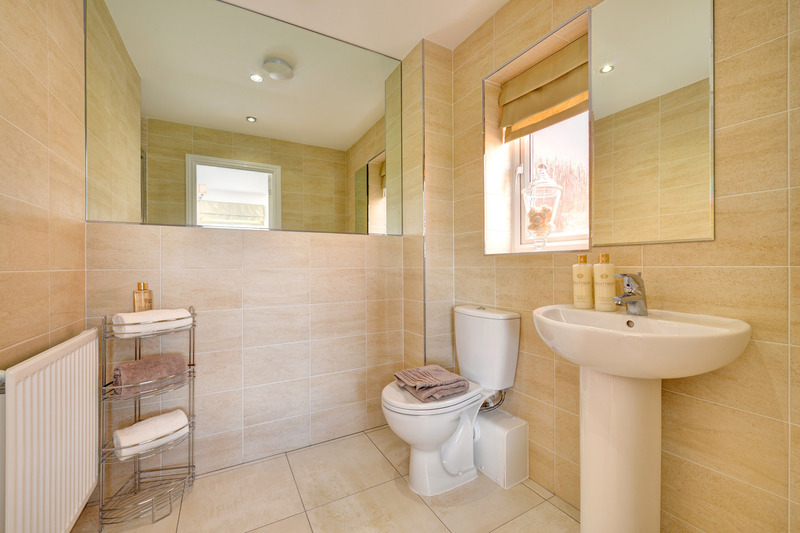 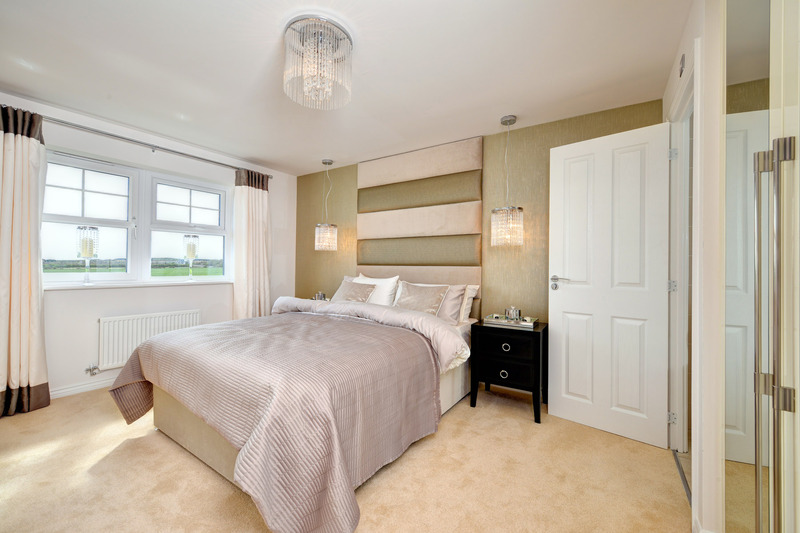 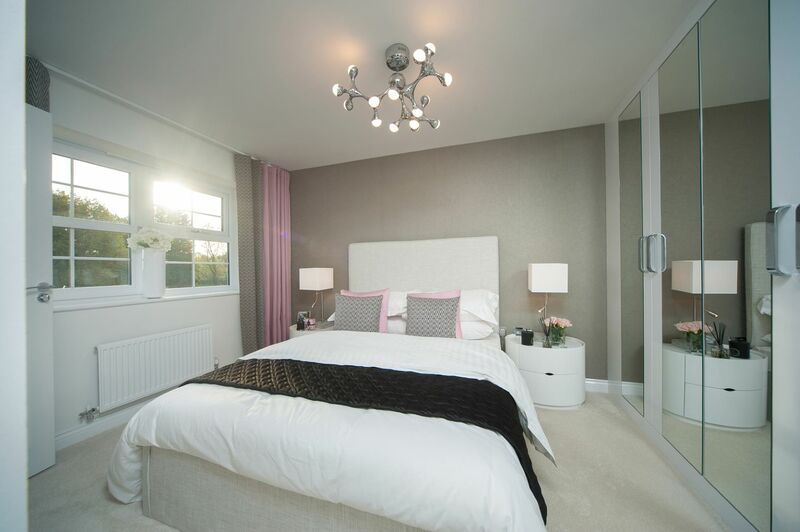 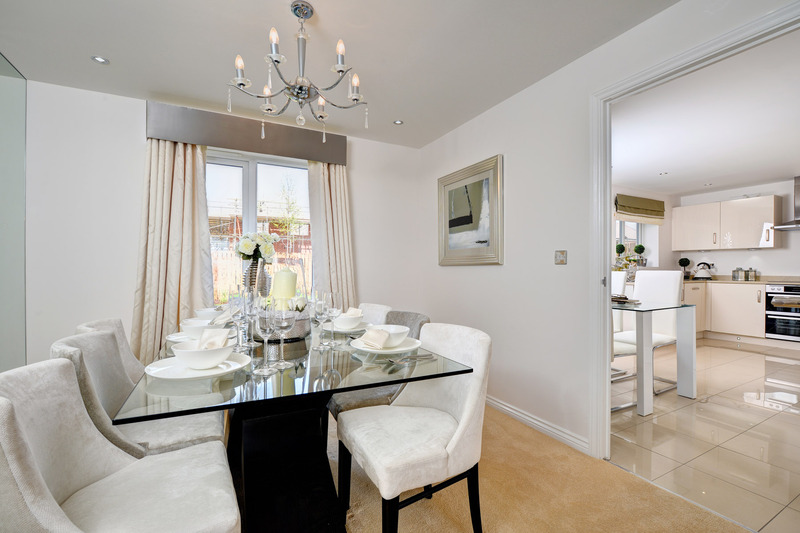 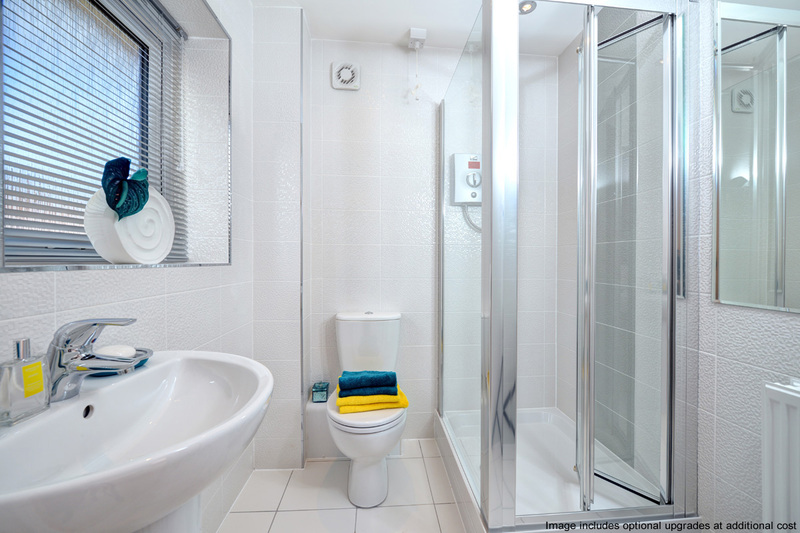 Upstairs you will find four double bedrooms, two with en-suite shower rooms and a stylish family bathroom. 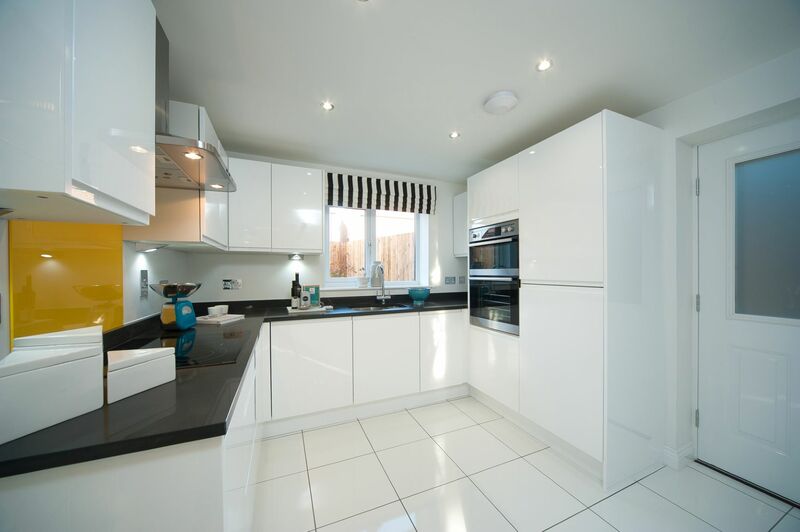 This superb three bedroom home would suit both couples and young families. 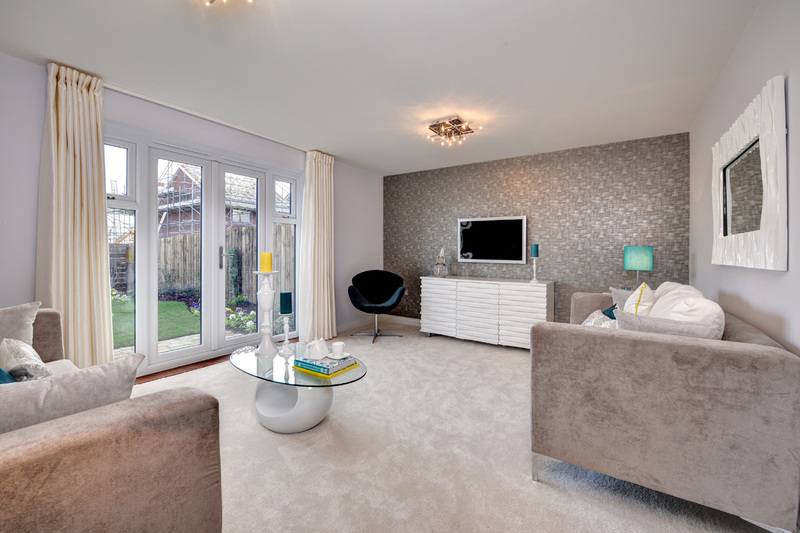 It features an open plan lounge with dining area leading through French doors to the rear garden. 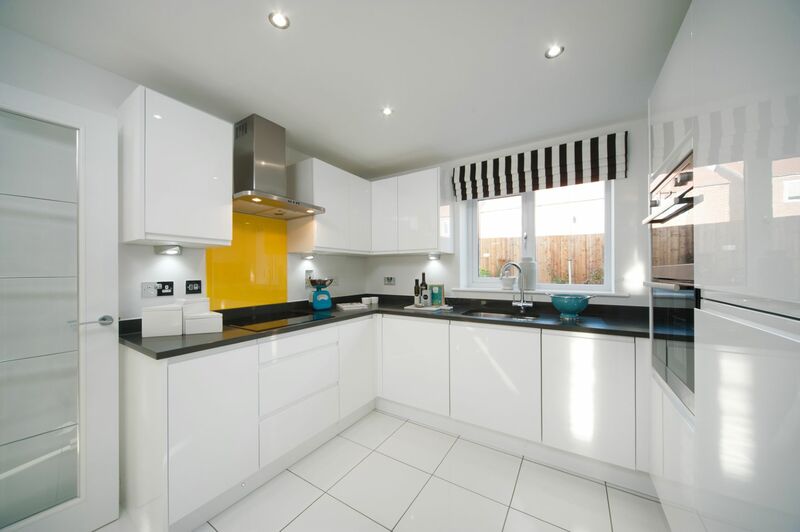 The modern fitted kitchen with breakfast area overlooks the front of the home. 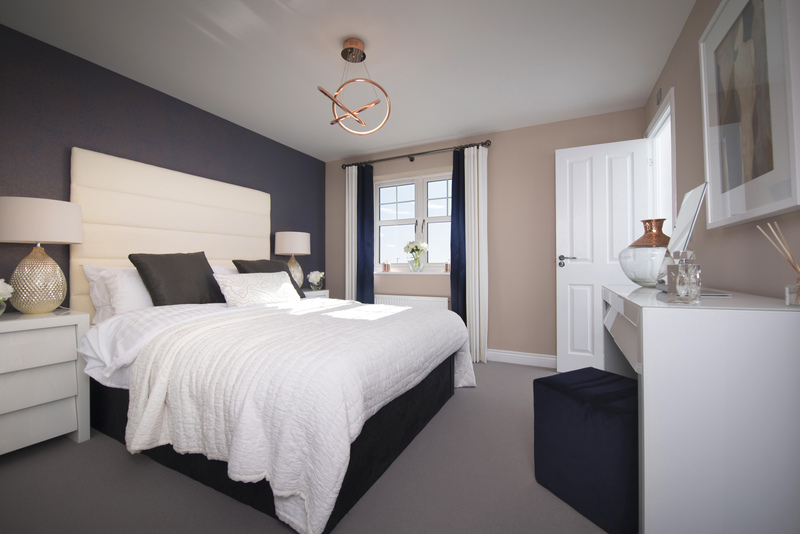 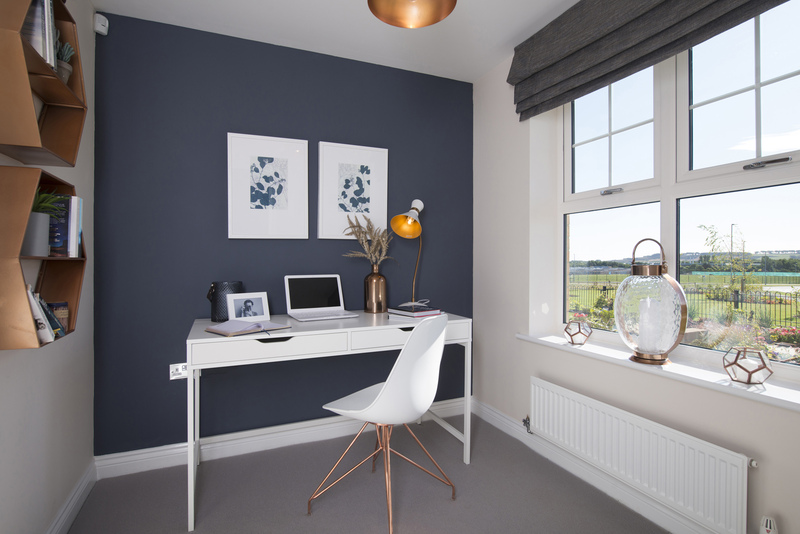 Upstairs features two double bedrooms, one with an en-suite shower room, a further well-proportioned bedroom and a stylish family bathroom. 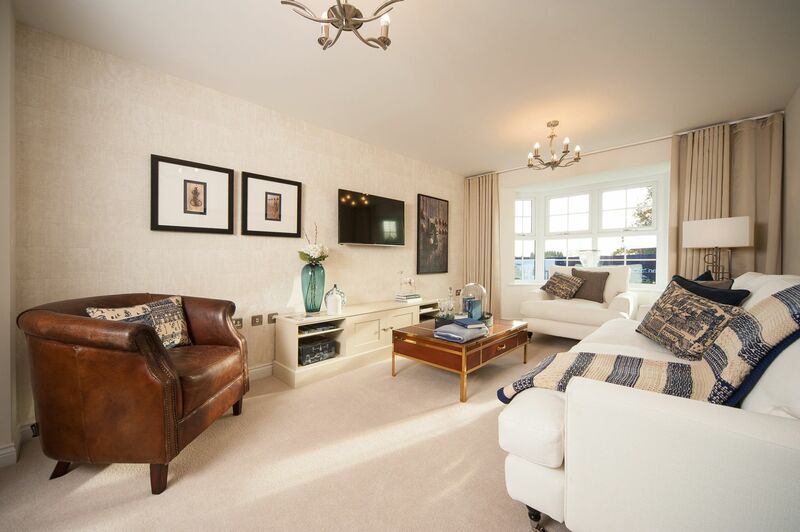 This four bedroom homes features a traditional double fronted design with a spacious interior layout, making it ideal for a growing family. 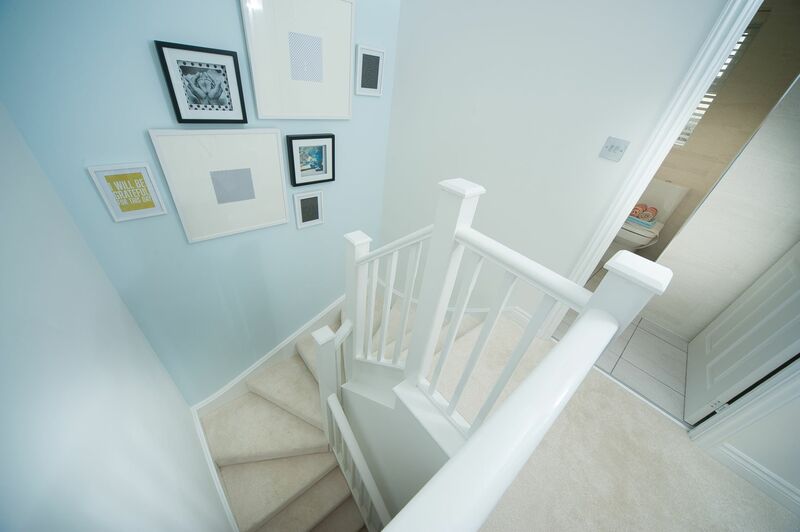 Downstairs, a light and airy lounge and an open plan kitchen with dining area both open through French doors to the rear garden. 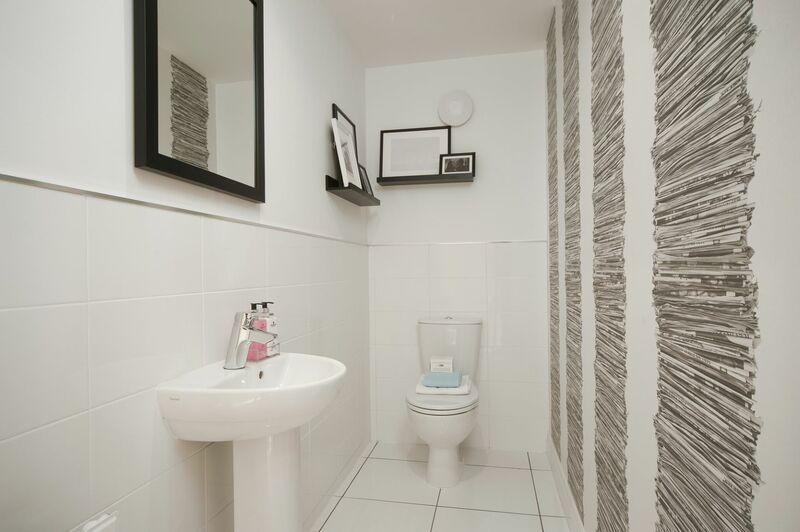 A study, utility area and cloakroom complete the ground floor. 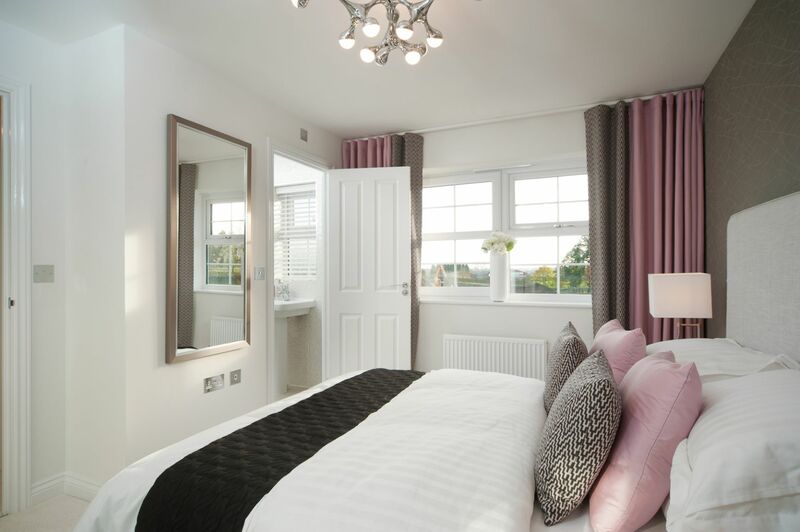 Upstairs features a master bedroom with en-suite shower room, two double bedrooms, a further well-proportioned bedroom and a stylish family bathroom.